Updated January 23, 2018, see below. 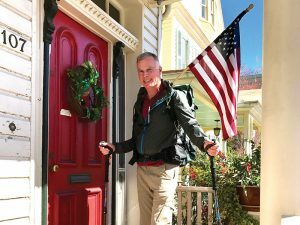 Robert Messick will need to carry about 30 pounds in his pack while hiking the Appalachian Trail, a journey of 2,190 miles. He is raising money on the trail for the Talbot Interfaith Shelter. Five Million. That’s a big number no matter how you slice it. That’s how many estimated steps it will take Robert Messick to hike the Appalachian Trail – all 2,190 miles of it. He begins his journey on April 15 over every mountain between Georgia and Maine. The AT, as it is known, is the world’s longest footpath and spans 14 states. Robert hopes to raise $35,000 while walking the trail for the Talbot Interfaith Shelter in Easton. The Talbot Interfaith Shelter (TIS) has been an interest of Robert’s since its start in 2009. He has volunteered at the shelter for years. He loves hiking and decided to marry the two in an effort known as The Long Walk Home. In preparation for his departure, Robert dehydrated food for his 4,000 calorie a day trek and found time to spread the word about his Long Walk Home in hopes of gathering pledges. Hiking the “Green Tunnel,” as its known, is hard on even the seasoned hiker. Robert has been hiking and working out daily to prepare his body. He is mentally prepared as well, having practiced yoga for years. Robert, a yoga instructor, explains that yoga is as much about mind as body. “The AT is the perfect setting for walking meditation,” he said. While 3,000 people attempt to walk through the trail, only 15% to 20% finish. The first few weeks are a real challenge, Robert admits, before gaining one’s trail legs. “My mental outlook is to accept what is and not fight it,” he said. It’s going to rain. It will get cold. He will stumble on rocks and roots. He might even curse the PUDs (Pointless Ups and Downs), but he will take the steady approach. He hopes to average 15 miles a day. “It’s senseless to not enjoy the journey,” said Robert, who is 62. He will wake before dawn – rising from his hanging hammock – and hit the trail at sunrise. He will watch for the telltale white blazes on trees and follow them until near sunset. While there are shelters along the trail every 8 to 10 miles, Robert plans on setting up camp on his own. Family and friends may join him in Virginia, but a majority of the trek will be alone. While he does worry about injury, Robert is still well connected to home, family and friends. Robert has an iPhone 7 Plus and a special GPS watch so he can broadcast daily uploads, based on reception in remote locations. Various apps will help him along the way as well. A Satellite Spot Messenger provides his coordinates at all times for family checking in on him. Hiking the AT from start to finish is an experience like no other. To put it in perspective, it’s like hiking the world’s tallest mountain, Mt. Everest, 16 times. Robert hopes to make the hike in about five months and in only four pair of boots – three pair of Trail Runners, a specialized lightweight hiking shoe – and a pair of Gore-Tex hiking boots for the colder months. And he’ll need to swap out his cold gear in the warmer months. He has packed boxes of gear and food and will mail them to various drop points along the route at one-week intervals to restock his supplies. Food and water is heavy to carry and he plans on taking five to seven days worth of food at a time. It will be exciting to follow Robert’s five million steps starting on April 15, at the conclusion of tax season as Robert is in tax and estate planning at The Messick Law Firm, LLC, in St. Michaels. While the AT was completed in about 1927, it took another 20 years before someone finished it as a through hike. Robert hopes to be one of the proud to make that accomplishment. To follow Robert along the trail, visit www.trailjournals.com/LongWalkHome. Follow Robert on Twitter @RobertMessickat and Instagram at @robertmessickontheAT. To donate to the Long Walk Home, visit https://tis.networkforgood.com. 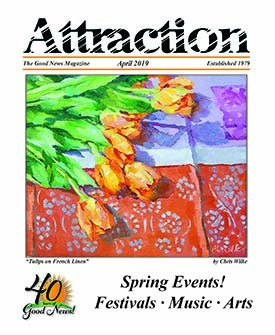 For more information about Talbot Interfaith Shelter, visit www.talbotinterfaithshelter.org. Long Walk Home Surpasses $35,000 Fundraising Goal for Talbot Interfaith Shelter! Before setting out on his mission to hike the Appalachian Trail to benefit Talbot Interfaith Shelter, (aptly named the Long Walk Home), local attorney Robert Messick set himself an ambitious fundraising goal. 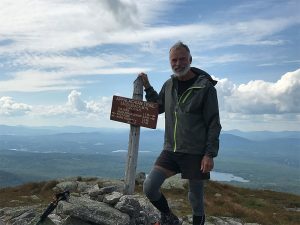 On top of traversing 2,190 miles across 14 states, taking approximately 5 million steps, and navigating elevation changes that are the equivalent of ascending Mount Everest 16 times, Messick decided that he wanted to further challenge himself to raise $35,000 for the Easton-based shelter and transitional housing program. Robert Messick on the Appalachian Trail.